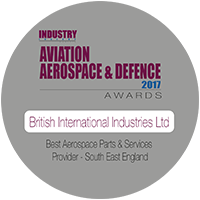 British International Industries (Bii.aero) is a leading provider of aircraft parts and services for the commercial aviation sector specialising in Boeing 737NG/747/757/767 and RJ inventory. Core services include component sales, exchange & lease; consignment stock & asset management; repair management & logistics; bespoke specialist support for lessors and banks. Bii primarily operates from premises close to London Gatwick, with global representation.